Enterprise Risk Management (ERM) represents a paradigm envisioned to provide an organization both resilience and opportunity in the face of uncertainty. 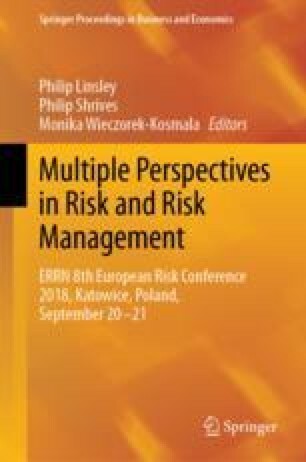 The debate around ERM’s value contribution to the organization has led to key ERM research questions arising, highlighting the need for further investigation of empirical measurement of ERM and its implementation. Calls from several scholars specifically request extending the academic body of knowledge on ERM measurement. Motivated by the above calls, this study presents the findings of a systematic review of the ERM literature. The review examines the academic discipline of journals existing ERM studies are published in, these journals’ H-indices, the location of the studies, and the methodology of how ERM is measured in the studies. The review establishes that the ERM literature cuts across several academic research disciplines such as accounting, finance and strategy. Moreover, the extant literature underscores that it is very difficult to quantify and measure ERM in practice within organizations. Consequential to this, most empirical studies of ERM have emphasized either a qualitative approach focusing in depth on specific organizations, or a quantitative approach relying on accessible, basic secondary data available in company reports. A gap in knowledge is presented around extending ERM measurement, in particular in terms of methodologies based on primary data collection and analysis. This paper concludes that further development of empirical measurement scales based on primary data, whereby direct, first-hand input from members of organizations implementing ERM is collected, will augment the ERM body of knowledge. Such scales will allow for important aspects of ERM as it is implemented in the organization to be empirically measured.